Nowadays, the North East is synonymous with football. However, the region was one of the country’s late developers in the game’s formative years, and it wasn’t until 1890 that the sport truly began to take off – several years after football had begun to flourish in other parts of the UK. The first recorded game of football on Tyneside took place on 3rd March 1877 at the Elswick Rugby Club between two scratch teams – one of eight men, one of nine. The nine men won 2-0 and soon afterwards Newcastle’s first club, Tyne Association, was born. Another side, Newcastle Rangers, started life in 1878 and first played on the Drill Field in Gateshead because they could not find a pitch north of the river. They eventually moved across the Tyne, taking over an enclosed ground close to Leazes Terrace in September 1880. The pitch was immediately referred to as St. James’ Park. But Newcastle United's origins are to be found with two minor football clubs on the east of the city, across Byker, Heaton, Stanley and Rosewood. 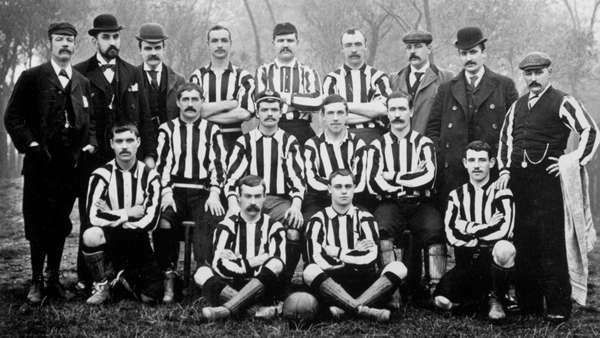 Stanley had originated from a cricket eleven, formed in November 1881 - the rudimentary start of Newcastle United, although some official records note that the club were playing an unorganised game a year earlier. As Stanley progressed, they were often confused with other clubs of the same name in County Durham, so they decided to change their title in October 1882 to Newcastle East End. Rosewood had been formed a couple of months earlier and soon joined forces with East End to form a stronger outfit, their side being integrated as East End's reserve XI. At the same time as East End were taking shape, another club started up on the other side of the city: West End Football Club. They played their football on a cricket field on the Town Moor, but moved to a pitch off the Great North Road in the summer of 1885. A year later, they moved again and took over the lease of St. James’ Park. 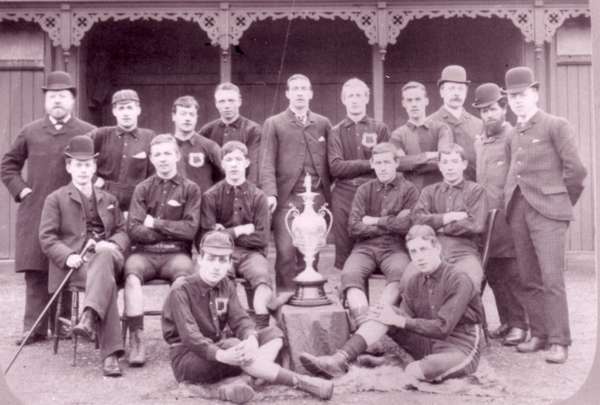 West End's first game was a 2-0 defeat against Rosewood on 7th October 1882. A mile across the city, East End kicked off on the same day against Hamsterley Rangers at Byker and fared better, winning 1-0 – although they had played several matches under the banner of Stanley. By 1884, East End and West End had emerged as Tyneside's strongest sides, overtaking the original pioneers Tyne and Rangers. In April 1888, the Football League was set up in Manchester, but Tyneside's clubs were content to help form a local Northern League which consisted of ten founder clubs and a mixture of professionals and amateurs. In 1889-90 league football of sorts arrived on Tyneside and West End finished second to Darlington St. Augustine. East End were fourth in the inaugural table. In a bold attempt to overtake their West End rivals, East End - by then based at Chillingham Road in Heaton - became a Limited Company in 1890, with an issue of 2,000 shares at 10 shillings each. Not wanting to be left behind, West End quickly followed suit – but East End had stolen a march and were able to attract better players and larger gates. It became apparent that the city was not big enough for two football clubs and, as West End’s struggles continued to the brink of collapse in the 1891-92 season, they offered their lease of St. James' Park to East End. Within a week, a deal had been agreed and in May 1892 East End formally agreed to move to St. James' Park as well as taking over what remained of the defunct West End's assets, including some of their players. Tyneside now only had one senior club. East End's first game at St. James’ Park took place on 3rd September 1892 against Glasgow Celtic, a prestigious friendly won 1-0 by the visitors in front of a healthy 6,000 crowd. But crowds of that size were rare and in a bid to attract more spectators, it was decided that radical changes had to be made. At a December meeting in the Bath Lane Hall - a goal kick from St. James’ Park - East End's directors presided over an open discussion on the future of football on Tyneside, and it was agreed that the club should dispose of the old title of Newcastle East End in a bid to attract a wider support from the city as a whole. Several names were suggested, but voting was almost unanimous for one in particular. So on Friday 9th December 1892, East End became Newcastle United – although the legal title of the club was not altered for several more years. 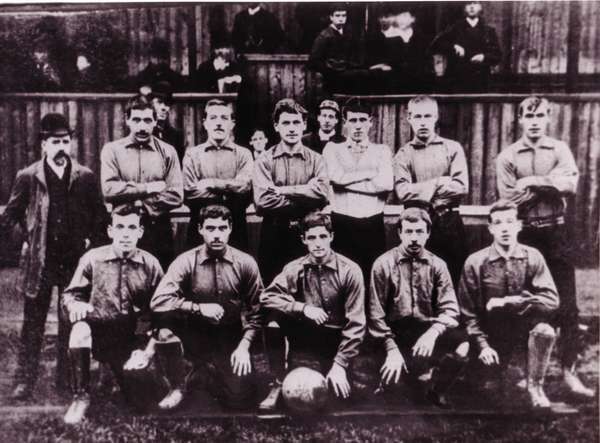 Having tried and failed once before to gain entry to the First Division of the Football League, the club made a second attempt in the summer of 1893. Again they were rebuffed, but were offered a place in the Second Division. Sensing that becoming part of the national game was the only way to increase revenue, they accepted; also elected into the Second Division were Liverpool and Arsenal. So now, the club had the name of Newcastle United, played at St. James' Park and had Football League status - but there was still one more massive change on the way. The team still played in the East End colours of red, but in 1894 they were replaced by the now famous black and white stripes. And, just before the turn of the century, Newcastle gained promotion to the top division after a series of Test Matches - an early version of the present-day play-offs.